City Mouse is the all-day eatery inside the West Loop’s still-new Ace Hotel. It’s helmed by Jason Vincent, currently of Giant and formerly of Nightwood. I’ve missed Nightwood’s brunch since they closed 2 years ago, so I was hoping City Mouse would be somewhat of a reincarnation. 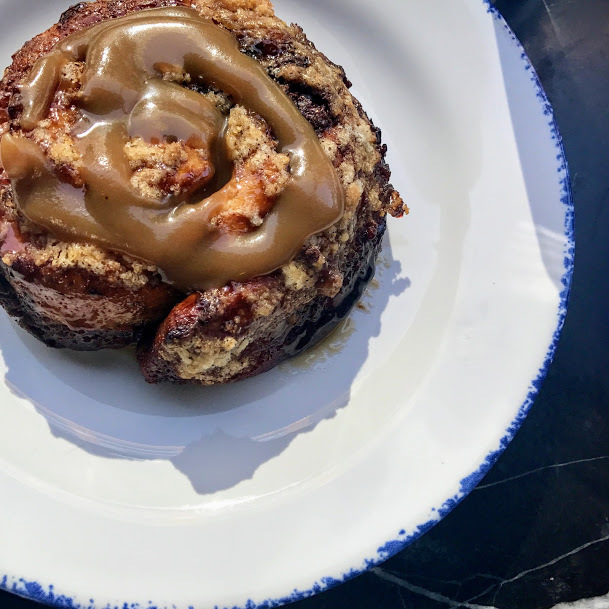 We had to start with this cinnamon roll, which combined all the best dessert flavors (espresso, chocolate, caramel, and marshmallow) into a caramelized morning masterpiece. I would easily go back for that alone. I already knew the gas station breakfast sandwich was emerging as an early favorite from the brunch menu, so I had to try it for myself. 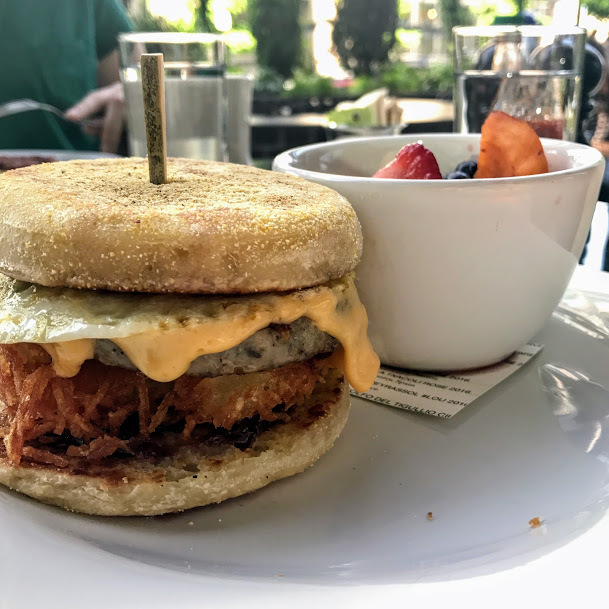 And sure enough, I was delighted to find that the hashbrowns bore a striking resemblance to the ones served with Nightwood’s legendary bagel sandwich – just in a flatter form. The humble grape jelly did its job in pulling the meat, egg, and cheese together, and even the fruit on the side was an especially pleasant mix of apricots, strawberries, and blueberries. 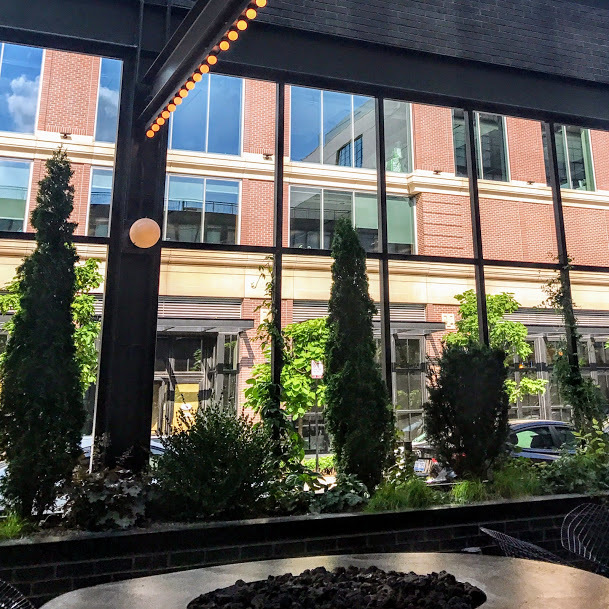 We sat on the sprawling glass-walled patio, whose fire pits will surely make it a hit into the cooler months as well. The details: City Mouse at Ace Hotel Chicago, 311 N. Morgan St., Chicago.